Papaya fruit is known with its sweet, fresh and classified as a cheap price too. Who would have thought a fruit rich in vitamin C can also be used as natural substances to treat facial skin you girls. 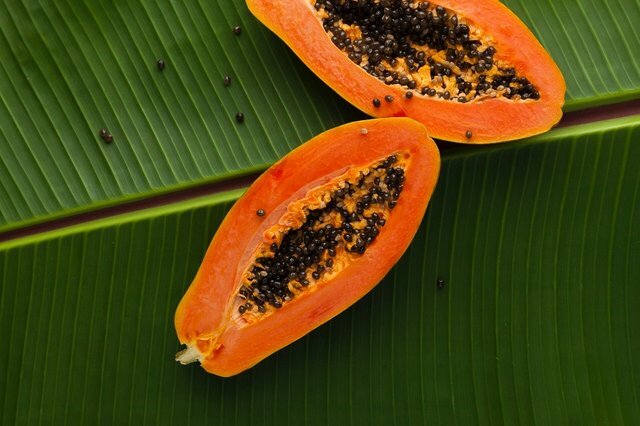 In ancient times, the Princess Palace using papaya fruits to make skin their faces look more clean and bright natural. You can also cheating recipes from this Royal family Princess. How, simply by mashing the flesh of the fruit of the papaya and then rub it as a mask to the entire face and neck. Let sit until it dries and then massage-massage of the face slowly. The final rinse uses cold water and pat dry your face. Do this papaya mask treatment, every day in the morning or the evening Yes. The result is your face skin would look brighter and feel springy.